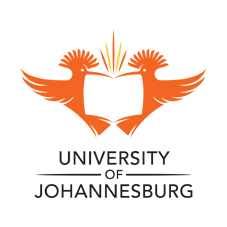 The University of Johannesburg (UJ) was awarded Gold for the Best International Print Advertisement, in recognition of the University’s new Art of Accomplishment campaign, at the recent 4th QS-MAPLE Creative Awards which were recently held in the United Arab Emirates. The competition recognises the importance of creative and compelling designs in effective marketing, communication and brand building. While UJ received the top prize, the Silver was awarded to The University of Newcastle (Australia) with Bronze going to Nanyang Technological University – Corporate (Singapore). Other categories included Most Creative Corporate Institution Video, Best International Student Recruitment Brochure and Best International Website Page. Mr Tshidiso Konese (Left), Senior Manager: International Student Recruitment, Admissions and Welfare at the University of Johannesburg, accepts the award during the 4th QS-Maple Creative Awards.